Description Printed in sepia. Size 59cm x 44cm (23" x 17"). 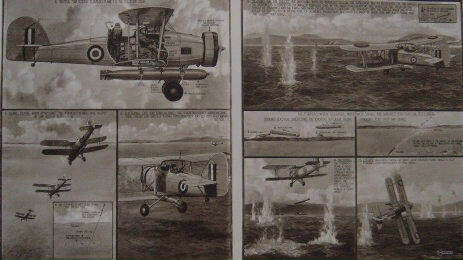 The technique of attack as employed with great success by Fairey "Swordfish" of the Fleet Air Arm.